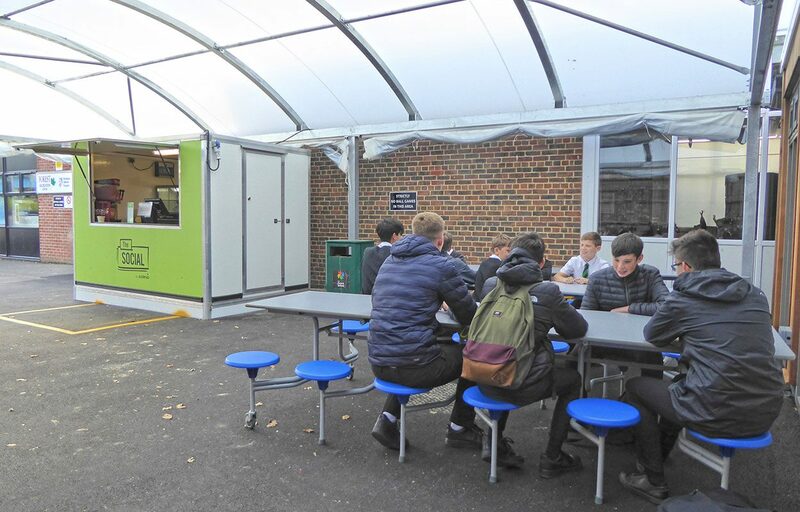 Fordingbridge were approached by the principle contractor at Forest School with the brief to increase dining capacity at the school. 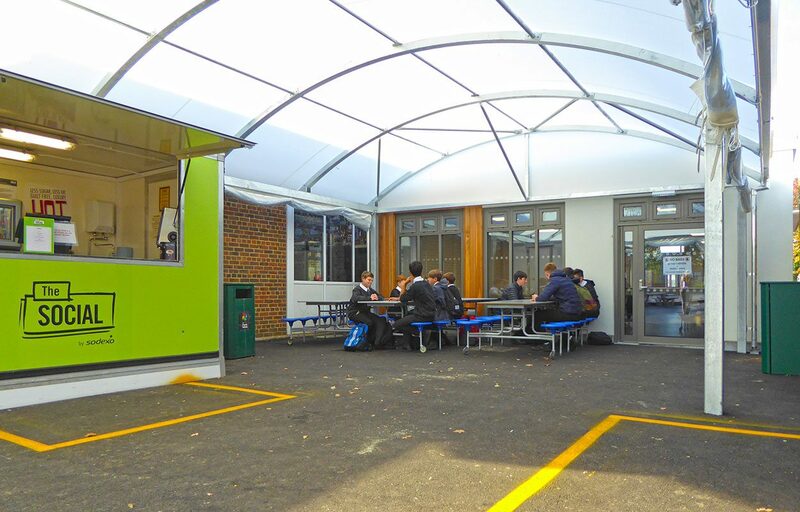 The covered outdoor space was required adjoining to the existing dining facilities to allow pupils the choice to easily eat and socialise outside. To remove the pressure of the kitchen, a tuck shop was included within the covered outdoor dining space. 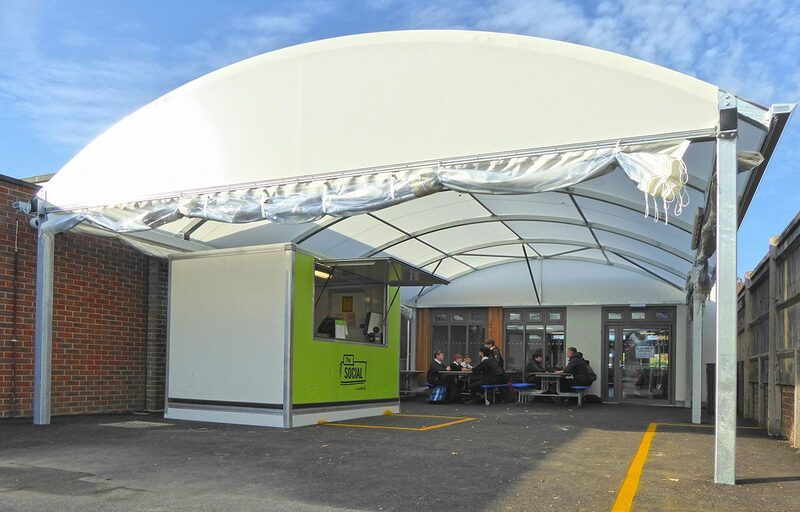 For added weather protection, roll up sides became part of the design for the 8m x 15m barrel vaulted canopy. These can be manually added or removed depending on weather conditions. 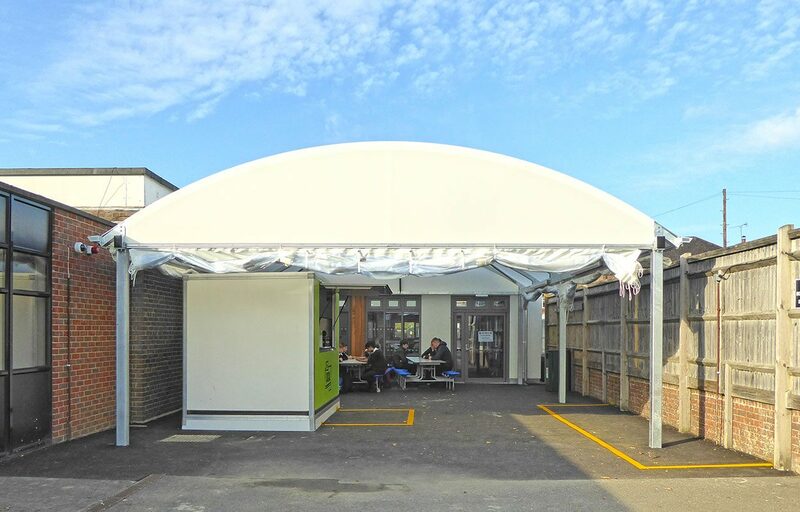 The canopy is completed by an Opal 60 roof covering. This solution has been developed exclusively for Fordingbridge and is an ideal roofing solution where higher light levels are required as well as shelter from all weathers.